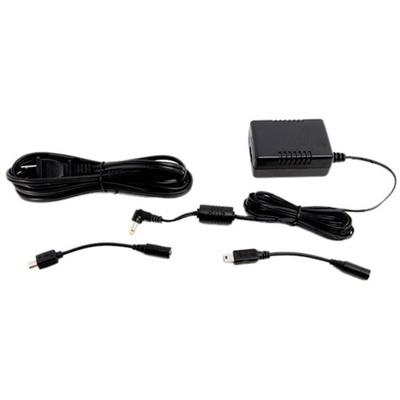 Product #3079 | SKU PS-P520E | 0.0 (no ratings yet) Thanks for your rating! The PS-P520E from Tascam is an external power supply for the MP-GT1 Portable MP3 Guitar Trainer. The adapter is also compatible with the company's DR-1, GT-R1, DR-2d, DR-07, DR-V1HD, DR-100, DR-100MK2, DP-004, DP-006, DP-008, DP-008EX, CD-GT2, CD-BT2, CD-VT2, MP-GT1, MP-BT1, MP-VT1, GB-10, LR-10, PT-7, and US-2x2. When using a DC to mini-USB cable, the power supply supports the Tascam GB-10, LR-10, DR-03, DR-05, DR-07MK2, DR-40, DR-22WL, DR-44WL, DR-60D, DR-60DMK2, DR-70D, and DR-701D models. It replaces the discontinued PS-P520.